Ann Davis of Roscoe, NY, a home maker and a lifelong area resident, died Tuesday, January 29, 2019 at her home. She was 80. The daughter of the late Charles and Mae Louise Schenk Roser, she was born January 14, 1939 in Livingston Manor, NY. Ann was a member of the United Methodist Church in Livingston Manor, NY; she enjoyed spending time with her family. Survivors include her children, Rose Rampe and her husband Thomas of Roscoe, NY, Michael Davis and his wife Tonijo of Hamden, NY, and Cynthia Nead and her husband Olan of Downsville, NY; her grandchildren, Louis Pingotti, Cody Lundeen, Matthew Rampe, William Rampe, Karl O’Dell, Joshua Davis, and Charles Nead; one sister, Myrtle Henkelman of Liberty, NY; one sister-in-law, Rosemarie Wolcott of Livingston Manor, NY; and many nieces and nephews. She was predeceased by her husband, William J. Davis on July 10, 2002; her parents; one brother, Robert Roser; and two sisters, Marilyn Roser and Ruth Bertholf. 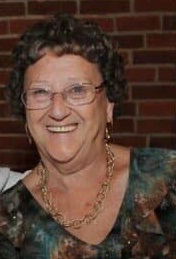 Memorial contributions in Ann’s name may be made to Hospice of Orange and Sullivan Counties, 800 Stony Brook Court, Newburgh 12550 or to the Roscoe-Rockland Ladies Auxiliary, PO Box 145, Roscoe, NY 12776.